Can the Asian Miracle Happen in Africa? I read Joe Studwell’s How Asia Works because it claimed to answer two of the greatest questions in development economics: How did countries like Japan, Taiwan, South Korea, and China achieve sustained, high growth and turn into development success stories? And why have so few other countries managed to do so? Clear answers could benefit billions of people living in countries that are poor today but have the essential ingredients to develop thriving economies. I’m pleased to report that Studwell, a smart business journalist, delivers clear answers—not the hedged “on the one hand, on the other hand” answers that led an exasperated Harry Truman to ask for a “one-armed economist.” I found the book to be quite compelling. Studwell explains economic history in a concise and understandable way. I asked the whole Agriculture team at our foundation to read it because of its especially good insights into the critical role of household farming for economic development. 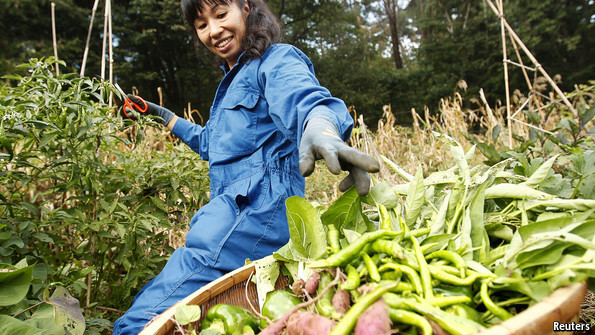 Create conditions for small farmers to thrive. Use the proceeds from agricultural surpluses to build a manufacturing base that is tooled from the start to produce exports. Nurture both these sectors (small farming and export-oriented manufacturing) with financial institutions closely controlled by the government. Agriculture: Studwell’s book does a better job than anything else I’ve read of articulating the key role of agriculture in development. He explains that the one thing that all poor countries have in abundance is farm labor—typically three quarters of their population. Unfortunately, most poor countries have feudal land policies that favor wealthy landowners, with masses of poor farmers working for them. Studwell argues that these policies not only produce huge inequities; they also guarantee lousy crop yields. Conversely, he says, when you give farmers ownership of modest plots and allow them to profit from the fruits of their labor, farm yields are much higher per hectare. And rising yields help countries generate the surpluses and savings they need to power up their manufacturing engine. Manufacturing: Studwell argues that once countries are producing steady agricultural surpluses, they should start moving to the manufacturing phase of development. He makes a strong historical case that the successful countries do not simply rely on the invisible hand of market forces; they supplement market forces with the heavy hand of state-driven industrial policy. These countries engage in a combination of protectionism (coddling infant industries to give them time to become globally competitive) and then culling losers (cutting off resources to firms that don’t succeed in export markets). Finances: Studwell shows that rapidly developing countries usually give lip service to free-market principles while actually keeping their financial institutions “on a short leash.” In other words, they enact policies to protect themselves against the shocks and whiplash of global-capital flows, and they make sure their financial institutions serve the country’s long-term development ends rather than the short-term interests of financiers. I came away from the book with many take-home messages that apply to our foundation’s work. I’ll highlight two. First, I appreciated Studwell’s thinking about agriculture economics. Drawing on data on crop yields and overall agricultural output, he argues that rapid agricultural development requires redistributing land more equitably among the farming population. To date, I haven’t focused as much on the land ownership piece as I have on the role of better seeds, fertilizers, and farming practices. This book made me to want to learn more about the land ownership picture in countries where our foundation funds work. Second, Studwell provoked me to think hard about whether his three-part formula is as applicable to Africa as it is to Asia. Certainly, the agricultural piece applies well—and has many economic and health benefits. The big question for me is: Can African countries become successful export-oriented manufacturing hubs? I do see this potential in countries like Ethiopia and Djibouti. They already have a strong connection with China and ambitious, long-term economic plans. Unfortunately, many other countries on the continent don’t have those same success factors, especially landlocked ones with very poor infrastructure. Helping farmers in those countries grow more food and earn more money would be a big help on its own. How Asia Works is not a gripping page-turner aimed at general audiences, but it’s a good read for anyone who wants to understand what actually determines whether a developing economy will succeed. Studwell’s formula is refreshingly clear—even if it’s very difficult to execute. The writer is special adviser to the Jang Group/Geo and a former envoy to the US and the UK. Studwell presents his case unambiguously, backing it with solid empirical evidence. “No significant economy has developed successfully through policies of free trade and deregulation from the get-go.” “Proactive interventions” have been essential in all cases of economic transformation – in agriculture and manufacturing – as they fostered early accumulation of capital and technological learning. The book does two important things. First, by a historical recall of the East Asian and Chinese experience it shows that for all the talk of an ‘Asian miracle’, countries in the region have followed different trajectories and policies, which have produced sharply different outcomes. While north-east Asian states achieved extraordinary progress and prosperity, south-east Asian nations have lagged behind, in part because they took poor advice from multilateral financial institutions and failed to heed the lessons of history. China, Japan, South Korea and Taiwan are all remarkable economic success stories. But the Philippines, Thailand and Indonesia, despite initial spurts in economic growth, slipped back and have remained relatively poor. This divergence has created what the author calls “a tale of two East Asias”. Second, the book draws a distinction between what it calls the ‘economics of development’ and the ‘economics of efficiency’. The first is like an education process where poor nations, lacking technological capacity and adequate human capital, acquire the skills necessary to compete globally. This requires investible funds, which in turn needs state intervention, “nurturing and protection as well as competition”. However at a later stage of development, countries have to transition to the ‘economics of efficiency’ to achieve profitability. This requires less state intervention, more deregulation and freer markets. From this emerges the author’s central argument that economic development is a “stages game” with different policy solutions suited for different phases of development. This challenges the one-size-fits all paradigm of neoclassical economics. Studwell delves into China and East Asia’s varying experiences to substantiate this thesis. This leads to a provocative conclusion: “Poor states can only become rich by lying” – publicly supporting ‘free market economics’, advocated by the developed world, while pursuing “interventionist policies that are essential to become rich in the first place”. The 1997 Asian economic crisis laid bare the sharp differences in policies followed by China/north-east Asian countries and those in the south-east. China, South Korea and Taiwan were either unaffected by the crisis or bounced back quickly to re-embark on the path to robust growth and technological progress. But the economies of Indonesia, Thailand and Malaysia were derailed. The first two remain mired in significant levels of poverty. For Studwell, the Asian crisis underscored that these three interventions were what made the crucial difference between sustained economic success and failure. In China, Japan, Taiwan and South Korea, he writes “governments radically restructured agriculture after the Second World War, focused their modernisation efforts on manufacturing and made their financial systems slave to these two objectives”. But in south-east Asian states, this didn’t happen. There was neither any real land reform nor creation of globally competitive manufacturing firms. This caused what were called “technology-less” developing countries to regress when their investment funds dried up. It is in the context of the author’s lament about how, despite land reform being a vehicle for change, it does not figure in the development advice given today by rich countries or international institutions, that Pakistan gets mentioned in the book. Pakistan is cited as a prime example of where land inequality and agricultural dysfunction is at the heart of its economic and security challenges. Elsewhere the book says rural poverty nourishes terrorist groups that echo those suppressed in south-east Asian countries. Much of the book concerns itself with the three interventions. But the author is also emphatic in stating that they only take countries to a certain development stage. Over time, these policies create problems and have to change as countries transition to the next phase, when the ‘economics of efficiency’ has to kick in. As Studwell puts it: “The one, two, three approach only gets an economy – not to mention a society – so far. If policies do not change the economic sclerosis of contemporary Japan or Italy beckons”. In making a powerful case for poor countries to make the right development choices and learn from other nations’ experiences, the book warns against the kind of free-market economic dogma routinely pushed down the throats of developing nations by wealthy countries and international institutions. As China has shown by example, countries must determine their own development path, stick to it and then stay the course – not lurch erratically between contradictory policies under donor or populist pressure as several developing nations including Pakistan seem to do. Joe Studwell, How Asia Works: Success and Failure in the World’s Most Dynamic Region, (London: Profile Books, 2013). Here is a review of How Asia Works from the blog of John Williamson, the man who coined the phrase ‘Washington Consensus’. It is a thoughtful review to which I offer three brief points of response, whose relevance should become apparent as you read: a) I believe that Thailand’s very fast growth in the 1980s was based too much on a surge of FDI in low-value added processing activity and speculative real estate development and that this is why it proved to be unsustainable; I also think that far too much of Thailand’s manufacturing activity since the Asian crisis is still based on FDI and that this is one reason why the country will not progress towards developed nation status. b) since indigenous technological progress in manufacturing has characterised all the economic development success stories I have studied, I am unwilling to suggest to poor countries that there is ‘another way’, as Mr Williamson suggests there may be; such advice reminds me of the IMF telling poor countries in east Asia in the 1970s and 1980s to get rid of capital controls at an early stage of development despite the fact that no successfully developed country (outside offshore centres) ever did so; I am, if anything, a historian and so I go with what has been shown to work. c) I cannot see how I suggested in the book that Mr Williamson was personally in favour of open capital accounts in developing countries; I am quite sure he is sick to death of ‘Washington Consensus’ being misused, but I don’t think I said anything about how his personal views do or do not differ from the Consensus view. Here is a review of How Asia Works by the venerable Jonathan Fenby. I only have a PDF, so you will have to read it as a download. Click on the link below. Teddyboy Locsin raved about the book and urged me to read it asap. When he told me what the key message was, and then gave me the gist of the author’s pithy remarks about the Philippines, I went home and did as I was told. The book is “How Asia Works,” subtitled “Success and Failure in the World’s Most Dynamic Region.” It came out sometime in the end of March, and its author is Joe Studwell, an old Asia hand, journalist (Economist, Economic Intelligence Unit, Financial Times, Asian Wall Street Journal, Far Eastern Economic Review), broadcaster and author of several other highly acclaimed books, who is currently pursuing a mid-career PhD in Cambridge. Studwell cites Japan, Taiwan, South Korea and China as countries that have employed these interventions, resulting in “the quickest progressions from poverty to wealth that the world has seen.” These countries radically restructured agriculture (compulsory land reform) after World War II, focused their modernization efforts on manufacturing, and made sure that the financial system accommodated this development strategy. Other countries, like Malaysia, Thailand, Indonesia and the Philippines, did not follow the recipe (and also accepted bad advice from rich countries), and while these countries (excluding the Philippines—or until very recently, anyway) may have exhibited high growth for relatively long periods, the progress was not sustainable. In the process of justifying his arguments, Studwell earns his reputation as a myth-buster. For example, he cites data showing that following the shift to small-scale agriculture in his success countries, gross output of foodstuffs increased by somewhere between half (in Japan) and three-quarters (Taiwan). He also shows that sugar and banana yields in Taiwan from these home farms far exceeded plantation yields (which is what the Food and Agricultural Organization also has pointed out, but the data are ignored by large landholders and their supporters in the Philippines). His descriptions of the land reform experiences of Japan, Taiwan, Korea and China are fascinating and instructional (I did not know that the programs of the first three were in major part influenced by the fear of communism, and there was resistance, too, from the elites, but this was overcome), and he emphasizes that the land redistribution was accompanied by massive credit, infrastructure and extension programs. And then he follows up with a second set of stories that begins with Negros Occidental and broadens to the entire Philippines, providing a brief history of the land reform attempts starting from the US colonial government in 1904 (165,000 hectares of religious estates—unsuccessful because the Americans insisted on a full market price, and of course the tenants had no money; most of the land was bought by businessmen). Studwell has this to say: “Nowhere in Asia has produced more plans for land reform than the Philippines. But equally, no ruling elite in Asia has come up with as many ways to avoid implementing genuine land reform as the Filipino one.” I have to agree. And this is how he describes the Philippines’ Comprehensive Agrarian Reform Law: “The result was a law that was long winded, unduly complex, insufficiently radical, with many loopholes and with an absurdly extended timetable for implementation.” He then proceeds to go into the specifics of implementation failures—from the very large retention limits (five hectares + three hectares for every owner’s child over 15, compared to a maximum of three hectares in Japan and Taiwan), to the fact that the compulsory acquisition of land as of 2006 covered only 5 percent of the total “reformed” area, to the stock distribution option a la Luisita. It is an indictment of the law and its implementation. As Studwell remarks, “In the Philippines, man’s capacity to seize failure from the jaws of opportunity is writ large.” Again, one cannot help but agree. But why bring it up now? Well, because the message seems clear that if we want to make sure that our 7-percent growth rate can be sustained, we better focus on agriculture and land reform. Otherwise, we will end up with a Third World state, with poverty rates to match.